What better way to start a weekend then to make a delicious breakfast? 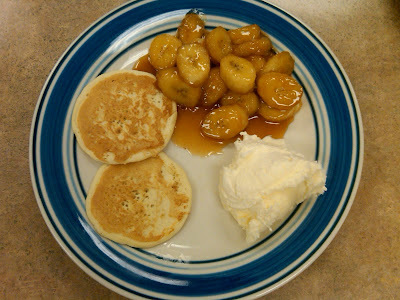 This recipe for pancakes with caramelized bananas and ice cream is very simple and relatively quick to prepare. The ingredients are so simple and basic, that you probably have them on hand at home. 1. Save 1 tbsp of butter to put aside. 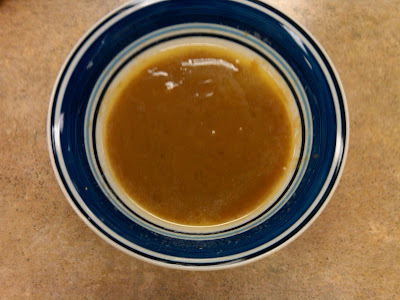 Melt the remaining butter and mix with the brown sugar to make a paste. 2. Peel and slice the bananas in 1/2 inch slices. Spritz with the lemon juice. 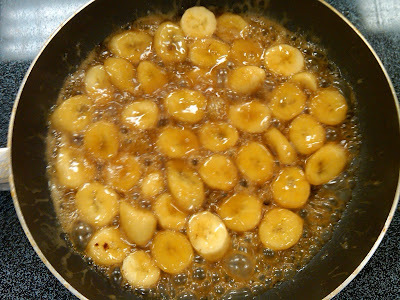 Then coat the bananas individually with the brown sugar mixture. 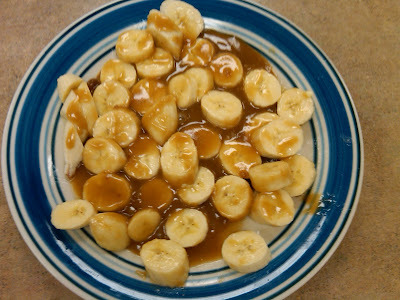 Be sure to keep the bananas in whole slices; do not stir the mixture. 3. 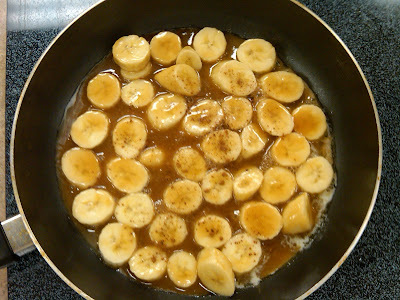 Melt the remaining 1 tbsp butter in a skillet and add the bananas. Add the cinnamon to the bananas. Cook on medium high heat. 4. 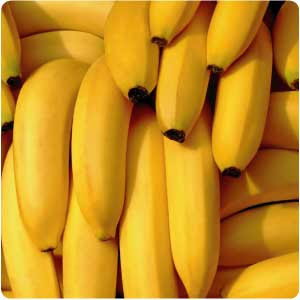 Cook bananas 1-2 minutes on each side until they are golden brown in color. The sauce should thicken and be smooth in appearance. 5. Serve with pancakes and ice cream! The next time, I plan to add chopped nuts and whipped cream as a finishing touch. Today's creation was made rather quickly, but this could be presented in a very elegant way and is also a decadent dish for brunch or entertaining. Enjoy! Today we're supposed to have weather in the upper 50s! I'm so excited. What are you doing this weekend? OMG! What time is breakfast tomorrow? I'll be right over. wow that looks absolutely divine!!! This looks beyond delicious! One word - YUM! Lilly summer sneak peek shhhhh!